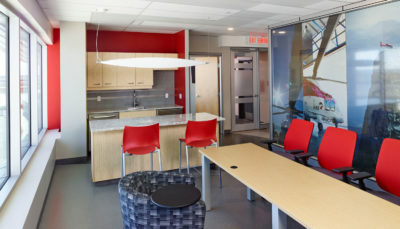 Canadian Helicopters : Wolski Design Group Ltd. 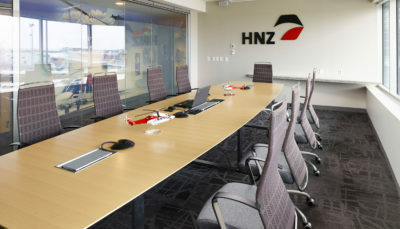 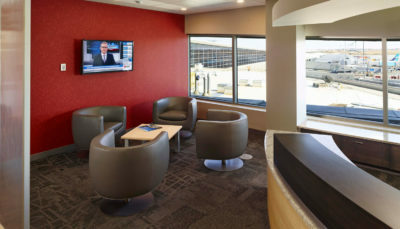 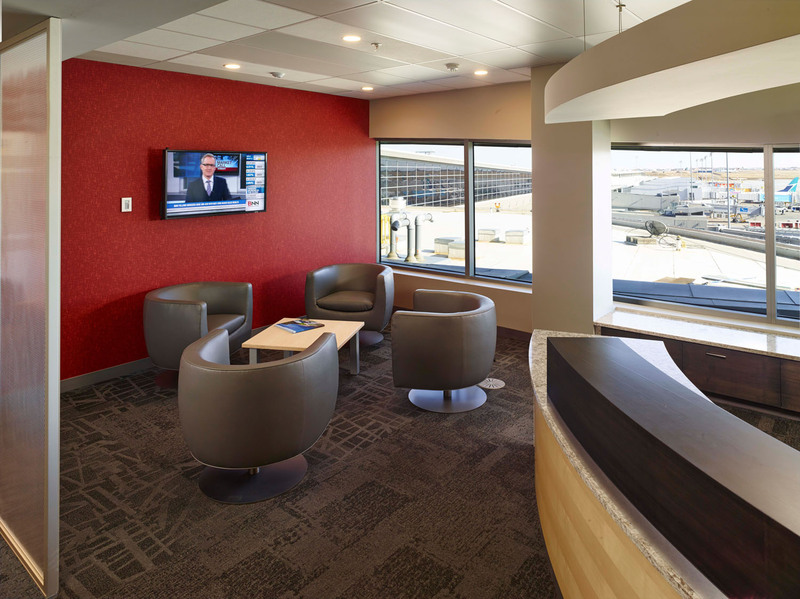 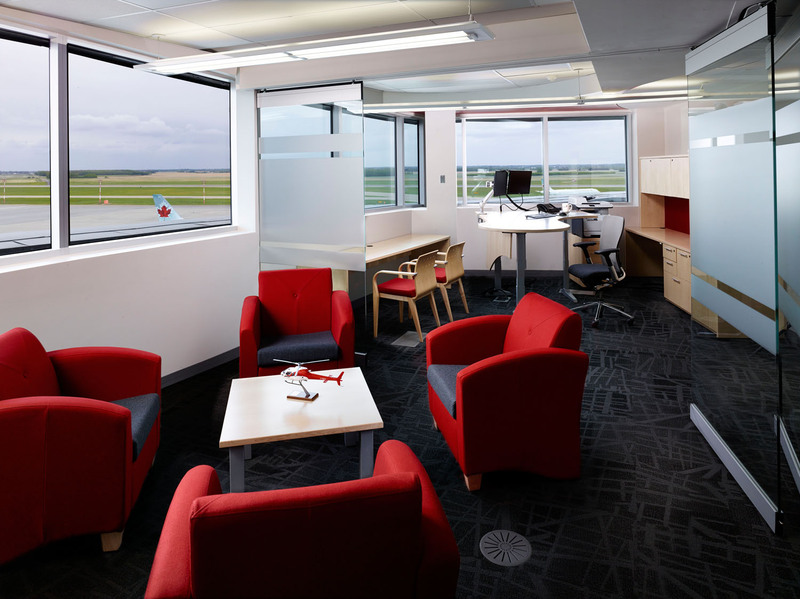 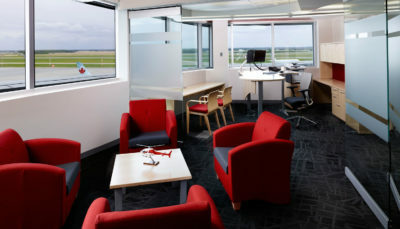 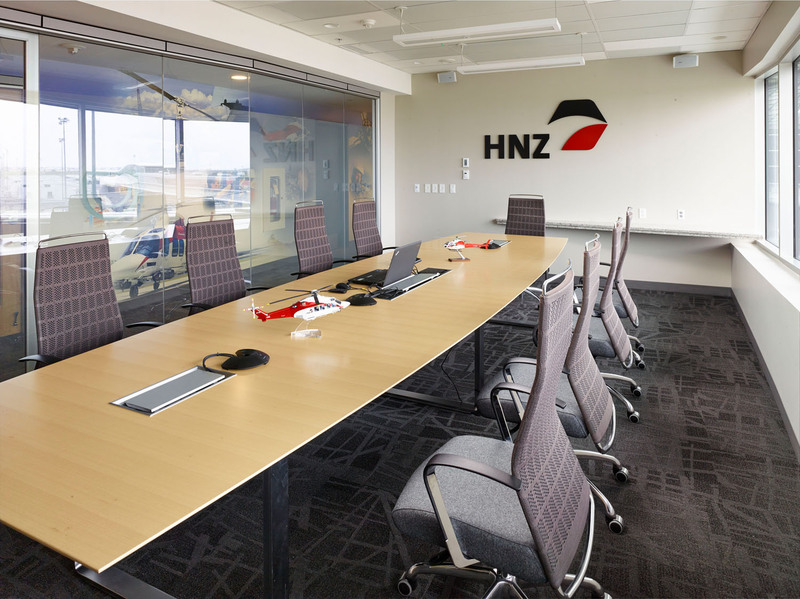 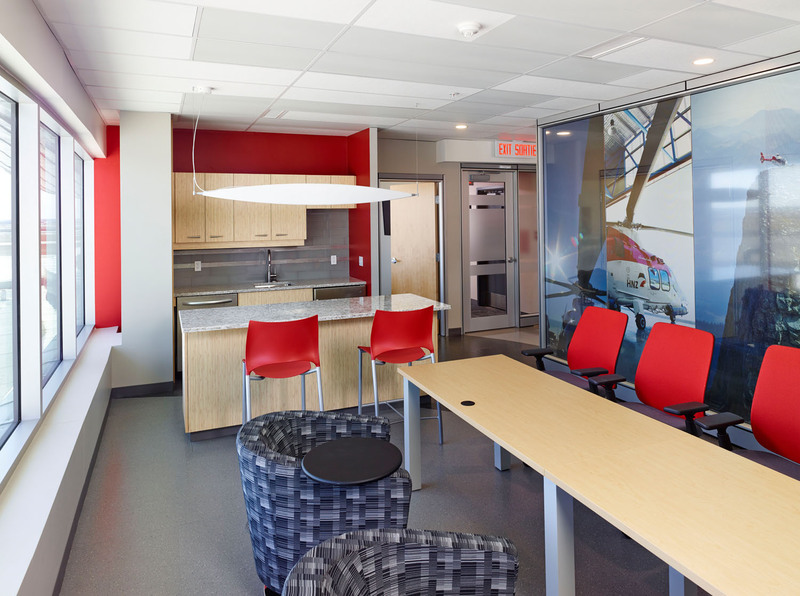 In the Central Office Tower at the Edmonton International Airport, you’ll find Canadian Helicopters’ new corporate head office. 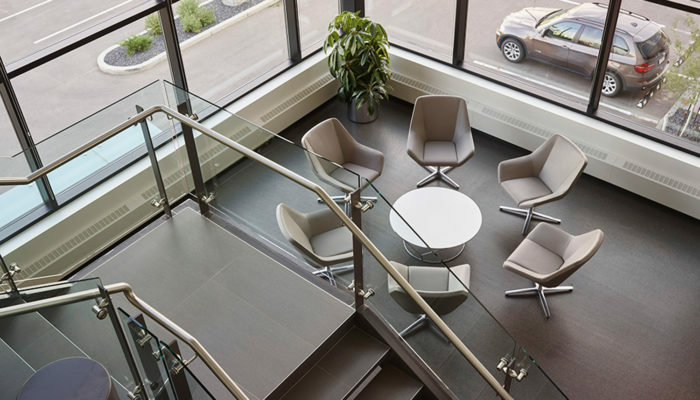 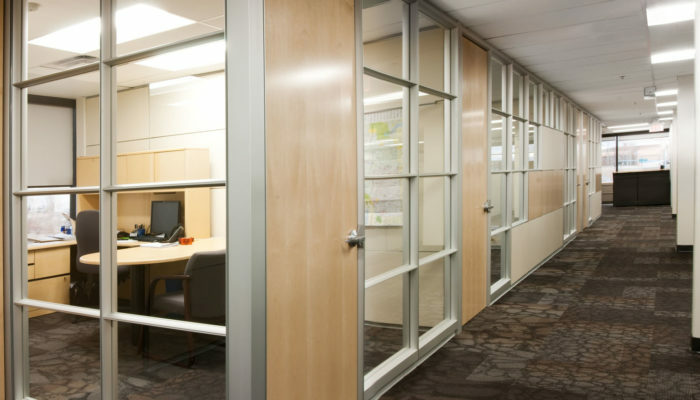 This space has a dynamic design, inspired by the iconic building and the company’s corporate identity. 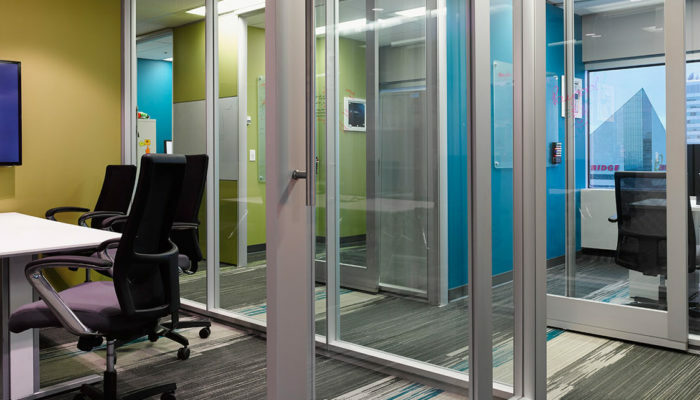 Cutting-edge features create a modern atmosphere, including a clear glass wall in the boardroom that turns opaque with the flip of a switch. 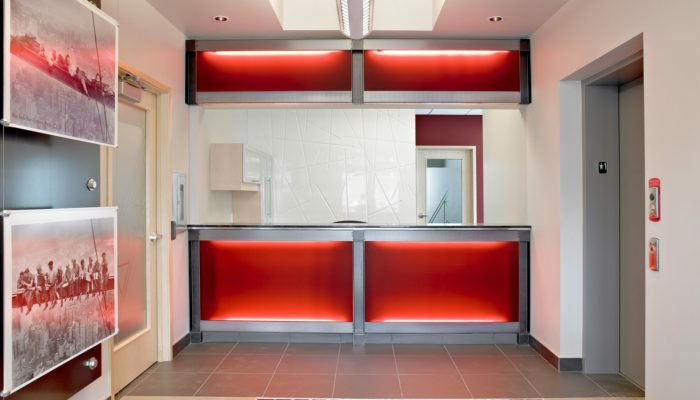 Warm colours and finishes reinforce the client’s bold new branding, balancing the high-tech environment. 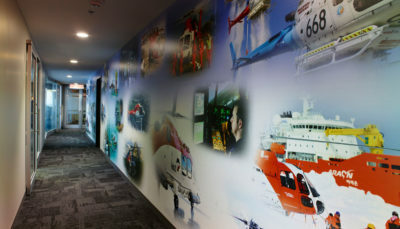 The interior core walls graphics highlight their corporate history and business ethos. 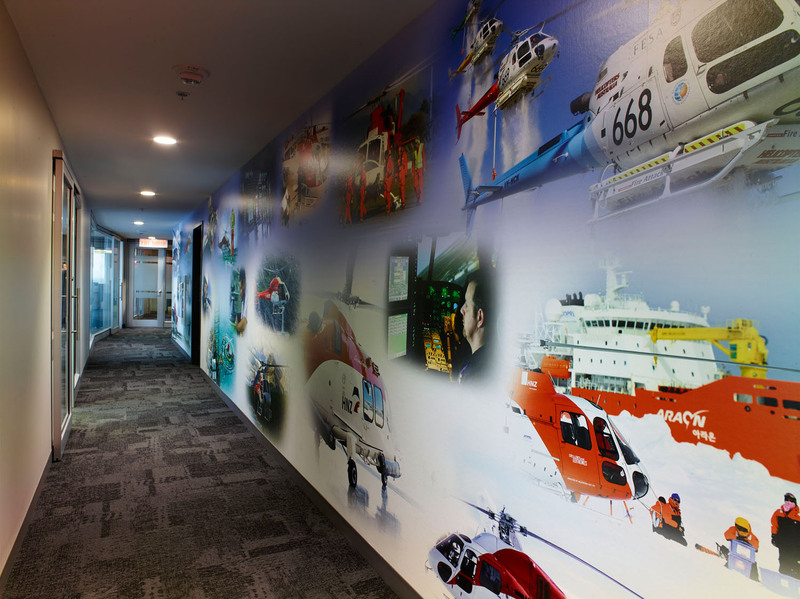 Warm colours and finishes reinforce Canadian Helicopters’ bold new branding, balancing the high-tech environment.